Hello and welcome to the home for great quality beautiful second-hand / pre-loved / pre-owned curtains and accessories. Our business is really very straight forward. We sell curtains on a 50/50 commission basis for clients from one of our two showrooms and also online (for full details about our showrooms etc please read our About Us Page). Are you looking for Curtains? If you are looking for curtains in our Online Shop and can't see what you want just either ring us on one of the two numbers below or use our Contact Us Form to send us details of your requirements and we'll get back to you as quick as we can and will send you pictures and sizes/condition of other curtains we have in stock. Please don't forget to include your phone number and name with your message! Are we any good at our business? Really this means do we do a good job for our clients?? - Feel free to take a look at our Reviews and Testimonials page, brickbats, warts and all!! LOTS OF 100+ INS OR 255+ CMS DROP CURTAINS NOW IN STOCK AND MORE COMING. 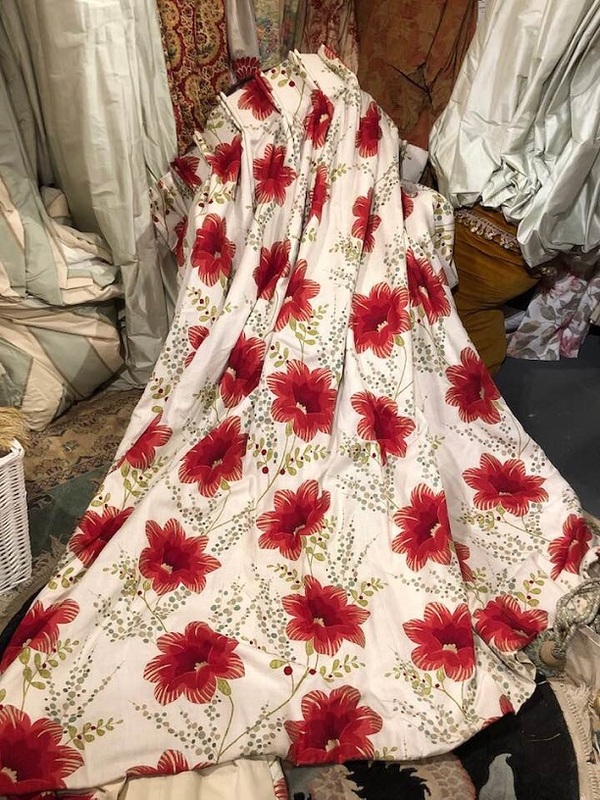 OUR LATEST FINDS INCLUDE 2 PAIRS OF 3 METRE+ LONG JANE CHURCHILL 'HAMBLEDON' CURTAINS COMING IN ON SATURDAY AND YET MORE FROM THE GEORGIAN COUNTRY HOUSE IN BERKSHIRE. AS ALWAYS PLEASE RING ON ONE OF THE NUMBERS BELOW OR USE THE CONTACT US PAGE IF YOU WANT/NEED MORE INFORMATION AS INTEREST IS HUGE. 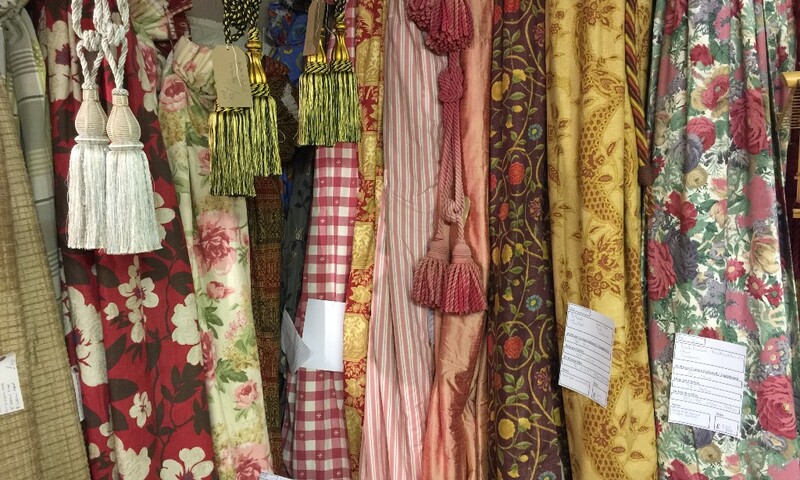 TO SEE MANY MORE OF OUR PRE-LOVED CURTAINS CURRENTLY AVAILABLE PLEASE TAKE A LOOK AT OUR SHOP PAGE.